Legislation passed this week would enrich a private contractor while throwing people off public assistance. Had the Ryan-Trump health care bill been signed into law, 24 million people could have lost their health care—and Donald Trump would have received a $2.18 million annual tax cut. Fortunately, the GOP’s latest attempt to create a windfall for the wealthy at the expense of the poor and working class was defeated. But this week in Mississippi, residents weren’t so lucky. The conspicuously named HOPE Act (Act to Restore Hope Opportunity and Prosperity for Everyone), introduced by Mississippi State Representative Chris Brown, passed the House and Senate and is now expected to be signed into law. The legislation reads like a compilation of all-time favorites from a Republican wish list: It would enrich a private contractor by outsourcing the work of verifying people’s eligibility for social-support programs, including Medicaid and SNAP (food stamps); throw people who likely qualify for assistance off of these programs; and make it more difficult for people to get food and income assistance in the future. It does all of this under the guise of helping people—Rep. Brown described the bill as “an incredible opportunity” to help people “move out of welfare dependency and poverty to a better life.” It’s also about eliminating fraud, supposedly, though legislators offered no proof that this is a problem in the state. The HOPE Act applies to all Mississippians who receive Medicaid, TANF (income assistance), or SNAP. Anyone enrolled in those programs will have 10 days to reply to a written request for information proving eligibility, as deemed necessary by a private contractor hired by the state. That deadline would be tough for anyone to meet, but the fact that many program beneficiaries are disabled, unemployed, lack stable housing, or are simply living under the everyday pressures of poverty makes the deadline all but impossible for many people. Currently, a Mississippi Department of Human Services (DHS) caseworker determines eligibility by sitting down with an applicant and sorting through liquid assets, utility bills, loans, child-support payments, child-care costs, employee pay stubs, and other sources of income and expenses. It’s a time-consuming process, but the agency has been rewarded for doing it well. Between FY2012 and FY2014, the department received $8.75 million in bonus federal funds for its SNAP-payment accuracy rates. Rep. Brown and other proponents claim that the state will save money through this privatized system. But the assertion is belied by the state’s own analysis, which was conducted by a private firm that supports the legislation. It estimated a cost of $10 million to $12 million, with about $2.5 million covered by state taxpayers. Williams said even that would be hard to come up with given the state’s tax and budget cuts over the past two years. But the actual cost will likely be much higher, and the study wrongly assumed that the federal government will pick up most of the tab for the privatized system. Tennessee considered nearly identical legislation and found that it would run $81 million with the state covering 95 percent of the cost. The legislators killed that bill. “We will be out millions of more dollars that could have benefited children, the elderly, and disabled people who are already neglected due to budget cuts,” said Williams. The HOPE Act will also make it more likely that childless adults between the ages of 18 and 49 will be limited to three months of SNAP benefits in any three-year period, unless they’re working. Under current law, the governor can apply for a waiver to this time limit during periods of high unemployment—during recessions, or for particular regions with high unemployment rates, like the Mississippi Delta. Now it will be up to a hostile state legislature to ask for the waiver. Moreover, if any household is found to be out of compliance with any requirement of SNAP or TANF, the children lose benefits, too. Mississippians can thank the Foundation for Government Accountability—an ally of the American Legislative Exchange Council and an affiliate of the Koch-funded State Policy Network—for providing Rep. Brown with the model for this legislation. The right-wing group’s past efforts include mandatory drug-testing for TANF recipients in Florida. Studies showed that there was no greater incident of drug use for people who receive benefits than the general public—and a lower rate compared to all Floridians—so the court struck it down as an illegal search and seizure. The drug-testing also cost the state far more to implement than it saved in benefits denied to the handful of people who tested positive. 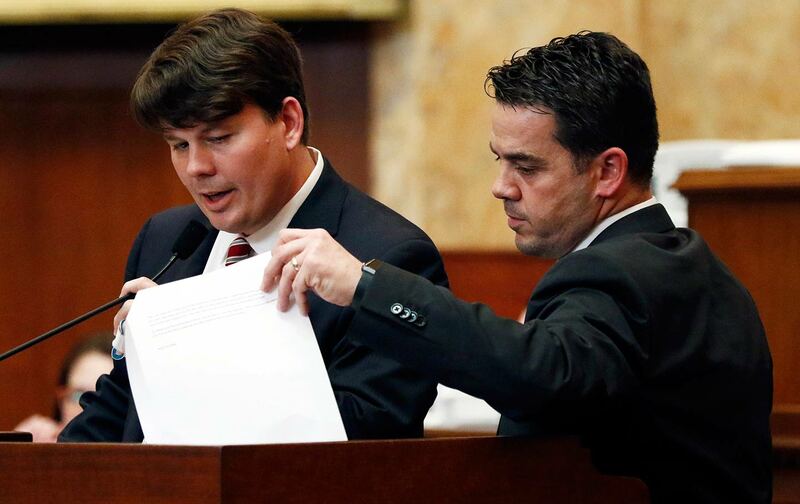 Mississippi’s move comes as conservatives across the country are kicking people off of needed assistance, under the pretense of freeing them from “dependency,” or giving states “flexibility” to better meet a community’s needs. Next up? More governors will likely seek waivers from protections for Medicaid recipients so that they can impose new work requirements, higher premiums, and time limits—and offer more largesse to the wealthy. Author’s note: If you want to stay informed about upcoming efforts to protect Medicaid, sign up for e-mail updates from TalkPoverty.org.